B. Sohngen and S. Brown. 2004. 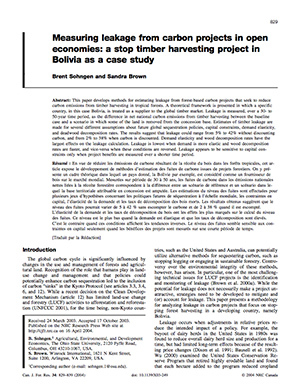 Measuring Leakage From Carbon Projects in Open Economies: A Stop Timber Harvesting Project in Bolivia as a Case Study. Canadian Journal of Forest Research 34: 829-839.